Rebecca G. M. Krehbiel is an Associate in the Banking industry group, focusing primarily on tax and trusts and estates. She practices out of the Firm’s office in Morgantown, West Virginia. Rebecca's practice centers on estate planning for clients whose needs range from simple estate plans to more complex plans that utilize strategies to minimize estate, gift, and generation-skipping transfer taxes. She also counsels executors and trustees on probate, estate, and trust administration matters. In addition to her trusts and estates practice, Rebecca has assisted clients in forming non-profit and for-profit entities in West Virginia and obtaining tax-exempt status for several non-profit entities. Rebecca enjoys interacting with clients and working with them to plan for the future in a practical, tax-effective manner. Rebecca is serving as an adjunct lecturer for the West Virginia University College of Law teaching Legal Estate Planning. 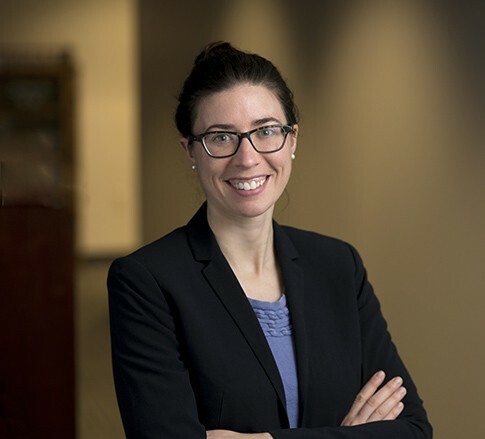 In addition to practicing and teaching law, Rebecca loves being outside with her husband and two dogs — running, hiking, and generally enjoying the beauty of the outdoors. She also participates in various races in her spare time and is always looking for ways to stay active.